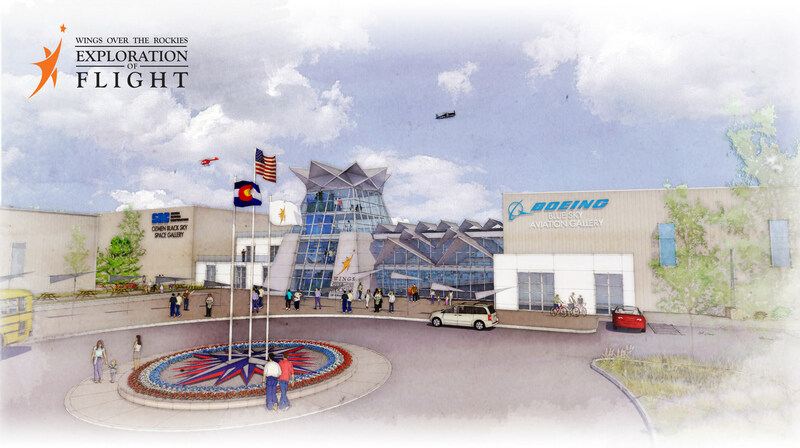 January 16, 2018 – After more than a decade of planning and fundraising, Wings Over the Rockies (Wings), an aerospace focused Colorado non-profit, is proud to announce its unique entertainment and education campus, Exploration of Flight. The Ozmen Black Sky Space Gallery will complement the Blue Sky Gallery. Named after Sierra Nevada Corporation’s owner and CEO, Fatih Ozmen, the Black Sky Gallery will feature 12,000 square-feet of exhibits designed to inspire the next generation of space explorers.